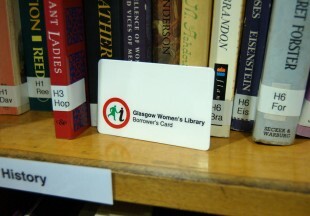 Joining the library is easy and completely free! Joining means you can borrow books from our lending library with your very own GWL borrower card, but you’re welcome to come and visit us and browse our collections without becoming borrower. To become a borrower, all you need to do is complete the borrowers form below and pop by the Library to pick up your library card. It takes us two to three weeks to process your membership and we will let you know by email when your card is ready to pick up. Why not check out our What’s On calendar so that you can attend an event or see an exhibition whilst you pick up your card! If you don’t want to wait, we recommend that you fill in a borrower form the next time you’re in the library, and that way you can pick up your card and start borrowing straight away! If you would like to support our work, you can become our Friend from as little as £2 per month, or check out our shop which includes books, heritage walk vouchers and special GWL tote bags. If you don’t live nearby but would like to keep up to date with all the GWL news, you can join our mailing list. We send out a monthly newsletter with details of what’s coming up in the Library. You can borrow 8 books at one time. You can borrow fiction books for 4 weeks and non-fiction books for 2 weeks. You can renew your books through our online catalogue – all you need to do is log-in using your GWL borrower number, which you will find on the back of your borrower card e.g. R01555. We really value and respect our library users, so we won’t fine you if your book is overdue, but we will send you a letter or an email to remind you. Since all of our books are donated and we have no budget for new books, please value and respect us by returning borrowed books. This information is completely confidential, and you can contact us at any time if your circumstances change.